‘Stormy Days’ Ahead for Rooftop Solar in Arizona? You are here: Home / Arizona Politics / ‘Stormy Days’ Ahead for Rooftop Solar in Arizona? Arizona consumers of rooftop solar best prepare for cloudy financial times ahead if recent stormy news in the solar panel industry is any indication. Missouri-based SunEdison is on the verge of financial collapse as it heads toward bankruptcy with $11 Billion of debt, a lawsuit by a subsidiary and an investigation by the fed. SunRun and SolarCity are also sitting on the same bubble as they find their values halved since late last year and nervous investors losing confidence in the industry’s 20-year leasing approach for consumers. Also adding to the volatility of the industry is a realization by local and state governments that subsidizing the industry is simply unsustainable bad public policy. 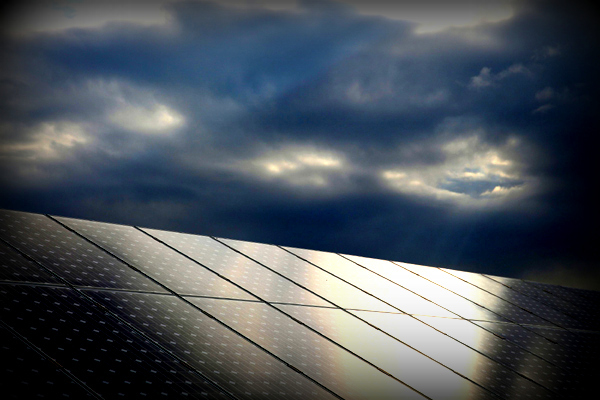 The rooftop solar industry should blame itself for its financial woes. It took on far too much rapid expansion and despite tremendous revenues, it is still facing losses. SunCity lost $769 million while Sunrun reported $28.2 million in losses. And 2016 is certain to continue that trend. Now the industry is making efforts to cut costs in overhead, labor, advertising, etc. even as the cost of panels had dropped considerably. To come close to making a profit, these companies must continue to lock in new customers. And they must also continue to find favor with state and local governments by continuing subsidies, favorable rate policies and special construction/installation projects. As traditional utility companies follow a more steady and stable growth model into renewable energy platforms, government regulators are becoming more wise and reluctant to choose winners and losers through policies like net metering. Instead, regulators are attempting to allow the market to adjust to normal conditions with the least negative impact to consumer pocketbooks. With these policy changes and market adjustments, rooftop solar companies are finding that a good deal [for them] won’t last forever. Even as energy regulators make adjustments to allow the market to benefit all consumers, the rooftop solar industry has turned it into a political battle to keep their special arrangements in place. This brings us back to Arizona consumers of solar energy who will be the negatively affected if the rooftop solar bubble bursts. Who will maintain and warranty rooftop units if the company reneges on its contracts or worse, goes under? That’s where the market appears to be headed and consumers better prepare for a rainy day.